LEARN: Wonder Woman Cosplay Bracers Tutorial « Adafruit Industries – Makers, hackers, artists, designers and engineers! The new Wonder Woman movie is coming out June 2.. do you have your costume ready? 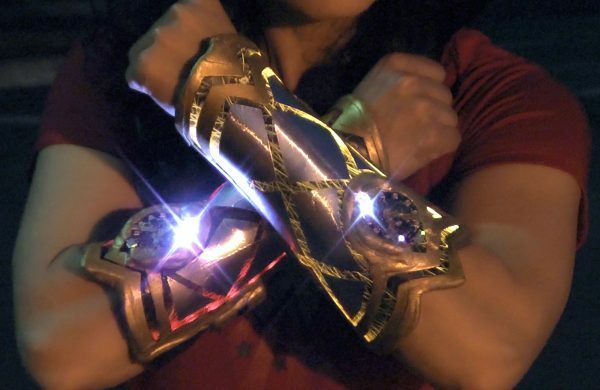 Make these super awesome Wonder Woman cosplay bracers using Circuit Playground, side-glow acrylic and Worbla. Circuit Playground’s built-in sensors make it easy to add motion and sound reactivity. The neopixel light effects are triggered by a quick wrist motion or by a loud sound in your vicinity, so you can block invisible bullets from anywhere. They also have an “always on” mode for photoshoots or dark Bat-cave explorations. Full tutorial is available on the Adafruit Learning System. Here’s a video of these amazing bracers in action.. check them out!